well hello fine friends. Thank you for stopping by. 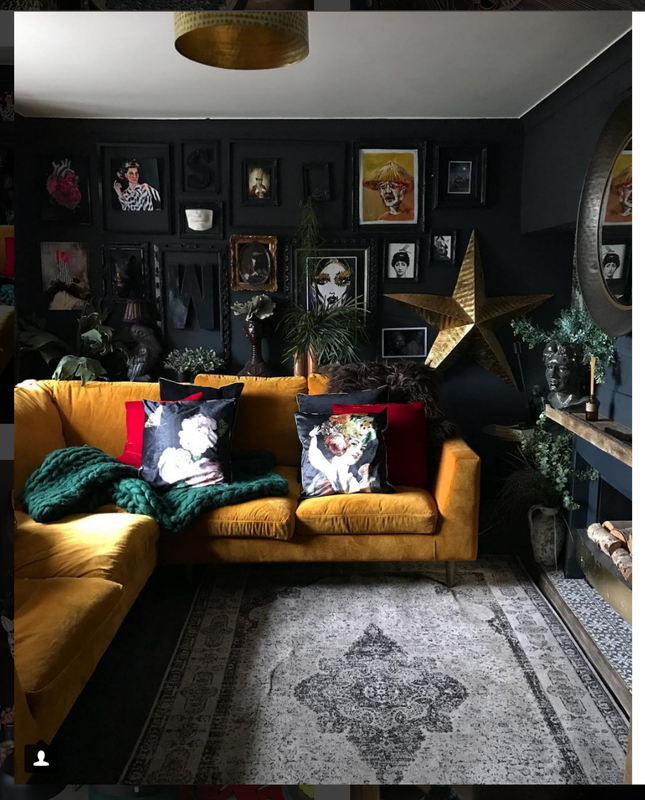 this is that color flavor, where I’ll dive into a specific color, and highlight it using my own art + design, other artists and companies who are using color brilliantly, diy’s, ideas on how to incorporate color into your home and life and some humor to make you smile. Full disclosure, obviously there will be promotion of my work, but I hope it's not intrusive to your experience in this space. I put so much thought into creating a meaningful and enlightening experience, so I hope you'll find it that way. Unless otherwise noted, all content was created by me. Please don’t be sly, credit my work (kate capone) if you use any of these images. I spent a lot of time creating them! Marigold is such a wonderful neutral color in my mind. I always tend to be drawn to it's sassy boldness, yet its ability to go completely unnoticed in some instances. I've chosen to start this journey into THAT COLOR FLAVOR with this shade of ochre because I think it's extremely versatile, yet it's a color I think many people are scared to use cause of well, it's baby poop like qualities. There, I used poop in the first post, so now we know where we stand. I choose this specific shade for it’s subtle boldness. You can see the shade of Pantone that I was instantly drawn to here. I took this photo in Bushwick, Brooklyn. If you look closely you can see my daughter. This was one of her favorites around the neighborhood. Check out the #bushwickartcollective to see all the wonderful street art happening in that hood! Or better yet, GO THERE! 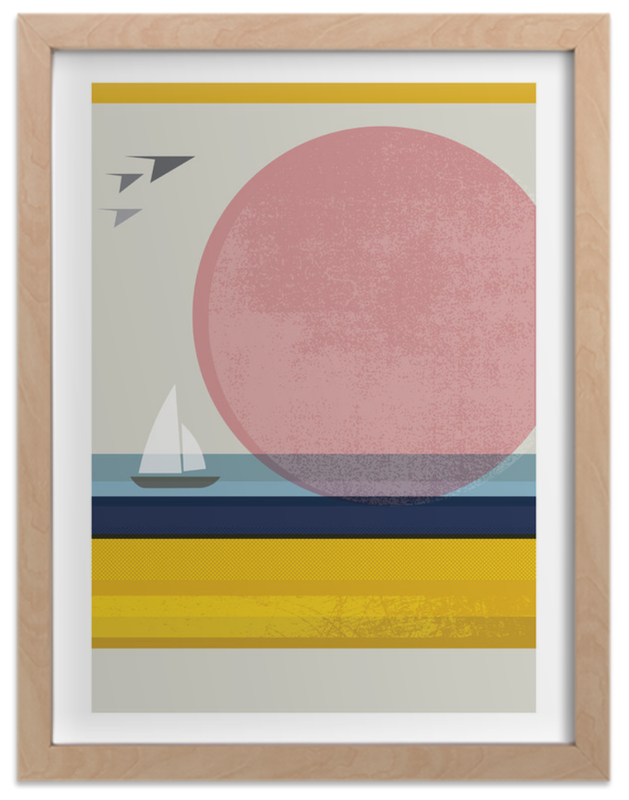 And a slightly brighter shade for your walls by Ben Moore (we're on a nickname basis at this point). This is the easiest/cheapest way to add to color flavor into your home. Think about different materials - like velvets and linens — and some patterns to make it interesting. Polka dots and stripes will never go out of style. Seen on the Hilary and Flow instagram account. Which is dark and dreamy and you feel like you might get lost wandering around in this forest of amazingness. Rachel Castle is the master at using this color, butterscotch as she refers to it. Just look at this bedding. I'm not worthy -- Her work is so amazing. Fast walk so quick your booty shimmies to and fro over to her site and purchase it all. For me. k'thanks. Texture and form were my main objective in portraying a landscape in their simplest forms. WOVEN PIECES IS PART OF A SERIES OF GRAPHICALLY RENDERED WEAVINGS. 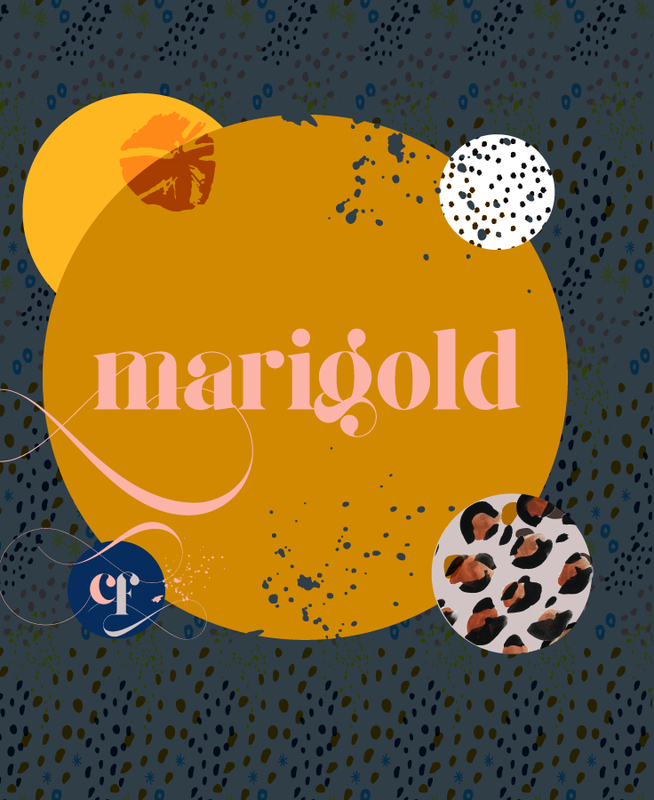 You can see marigold plays a strong starring role in this piece. She is fancy, her hair is always tucked under some sort of silky textured fabric and never, I mean never, is she seen without her sunglasses and large shiny turquoise earrings. In some Upper East Side gossip circles, it is said, she has a glass eye. Who really knows about these things. Her 3rd ex-husband-to-be gifted her the brightest, cherry red lipstick before he said his I do’s, then quickly, departed for a sailing trip around the globe, where he failed to make it safely ashore in the Aleutian islands - some say, cause a young Russian caught his eye. Regardless, he was never heard from again and their marriage was quickly and effortlessly dissolved, like the cherry red lipstick under the careful swipe of vaseline and lavender oil. 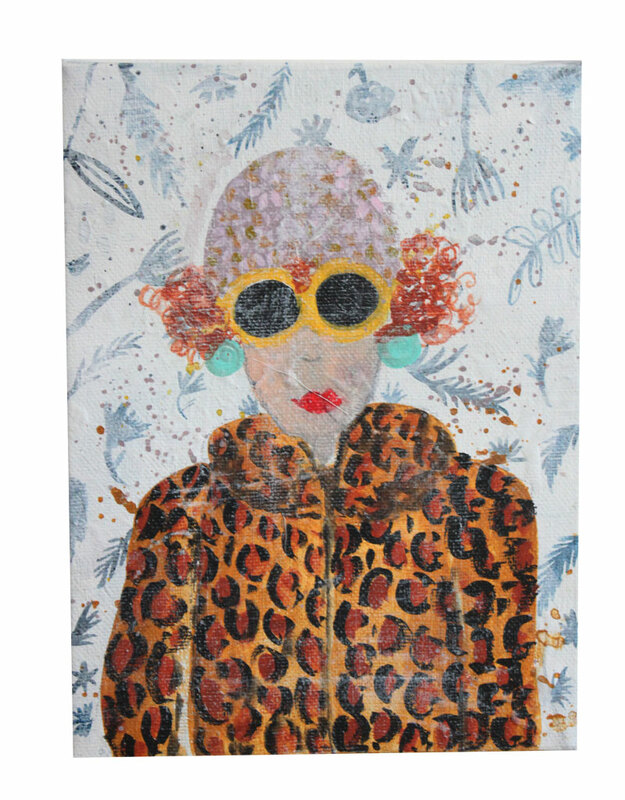 Marigold’s first ex-husband gave her this luxurious, if not fake, leopard print coat, which she promptly placed in her front parlor closet along with her teal velvet swing coat and daring red train coat. 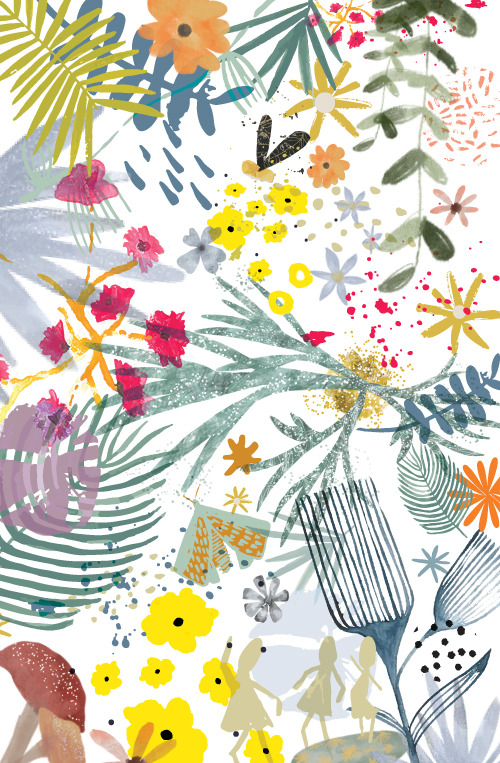 I am currently working on (and loving) - I’m imaging these very interesting quirky characters and the interiors they inhabit. It is literally my favorite project to date. What I’m loving especially however is pairing them all nicely together into a little vignette. I would absolutely love to sell these all as a group, so they can all live together happily. YOU CAN SEE **SOME OF THEM IN MY SHOP. I have an obsession with creating patterns. It's just something I love to do. So you, sweet reader, can always count on a few pattern plays in these posts. always check here for my new free screensavers! And now for the palette du jour which will highlight this spicy marigold. 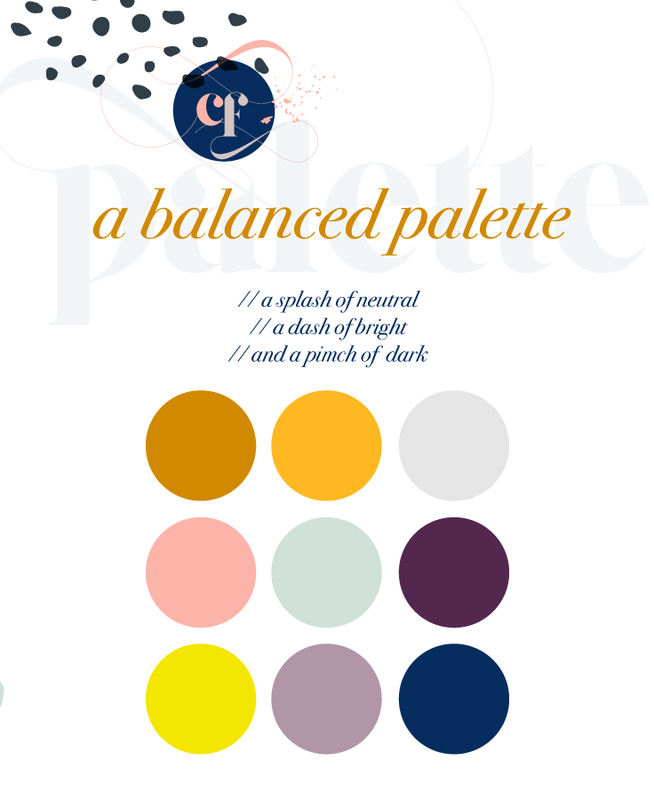 I worked with several palettes creating these patterns and landed on this one below simply because I followed my tried and true recipe formula. A splash of neutral // a dash of bright // and a pinch of dark. I will spend a good amount of time thinking about colors and shades when I start working. So, to me this is part of the job as an artist and designer, thinking through this part, sets up your work to be successful. let's learn about this marigold. 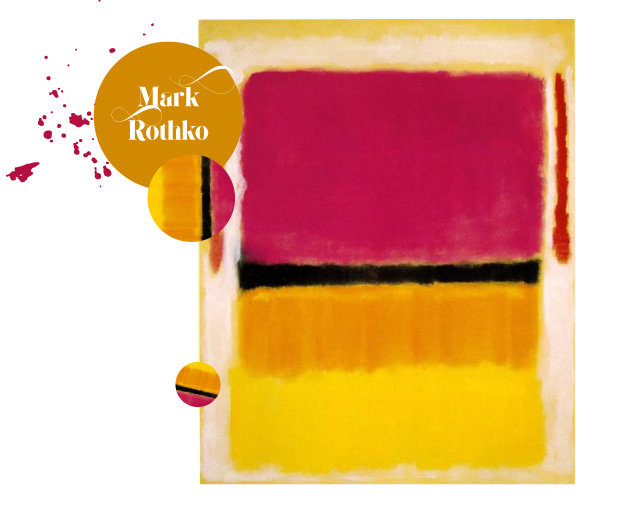 One of the first recorded uses of color was this marigold shade of ochre - found in the Lascaux Caves in France. I found this image on wikicommons and added some treatments to it. 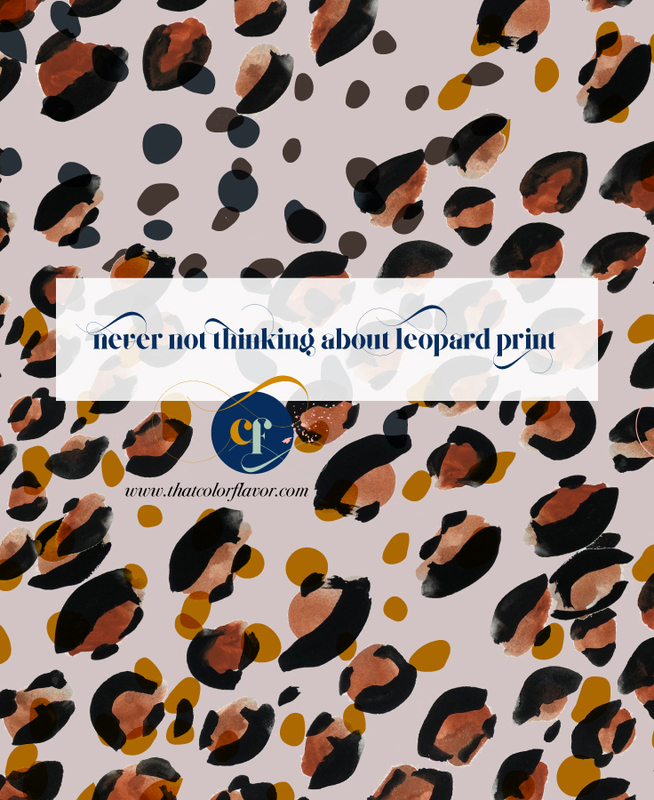 Never met a leopard print I didn’t like. 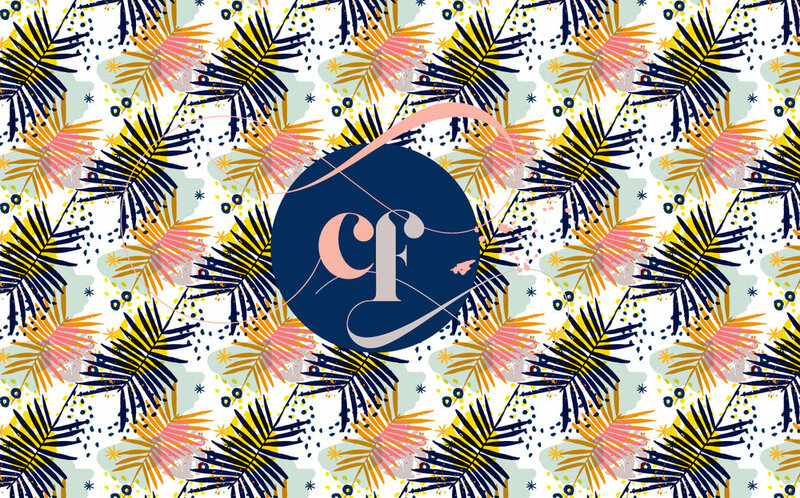 And yes, every newsletter will feature an animal print. That’s just who I am and I am totally ok with it. this adorable backpack that I’ll use with my little ladies when we head out on day trips to the park or zoo or beach. Basically ALL the wild adventures we go on. You can see this work in person at the Guggenheim. Isn't this a daring and wonderful palette. If you plant it, will it grow? I have no idea, typically my plants don’t grow, but I have had some of my houseplants with me now for several years. But you see, I just jinxed the darn thing now and they’ll probably keel over any minute. Anyway, a collage just for you. 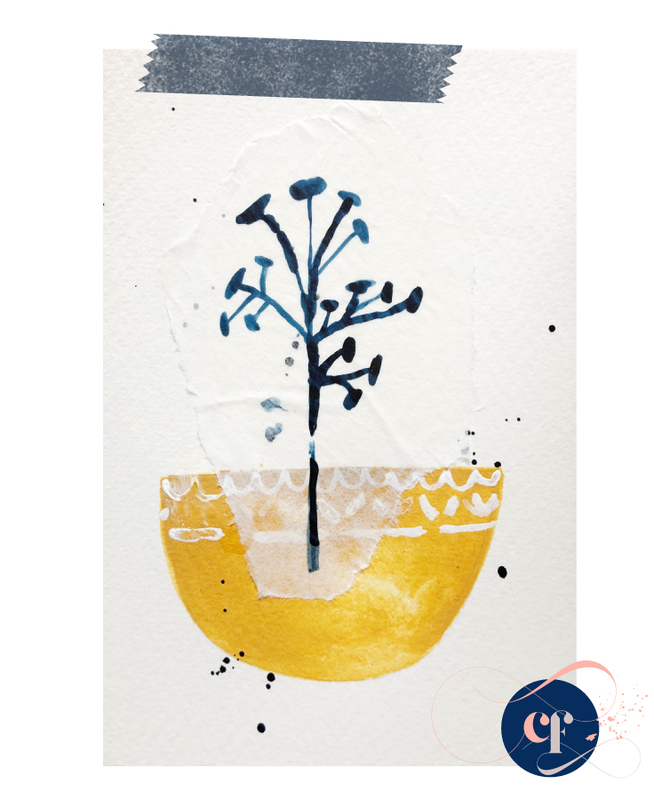 Make this extra large linen block print tea towel! This fun, super bright, not serious, slightly spunky marigold will delight your garden with every bit of sass it’s got. 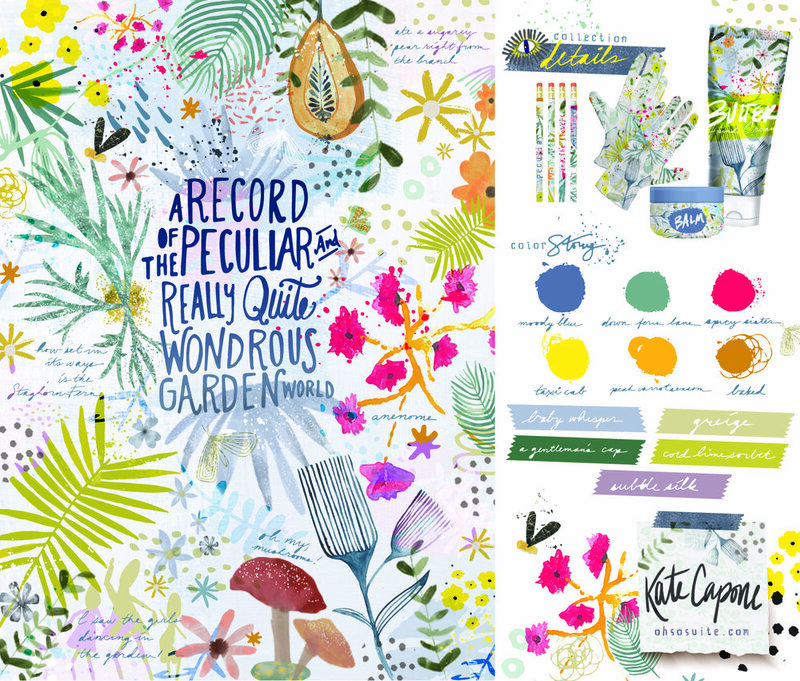 Speaking of gardens, I recently entered Lilla Rogers Global Talent Search - which is essentially an art contest on a global scale. It's a real blast to dive into the assignment and then look through the amazing work produced by so many artists. I had fun putting my entry together and imagining it come to life! Thanks so much for spending your time here and I hoped you enjoyed the first installment of That Color Flavor. 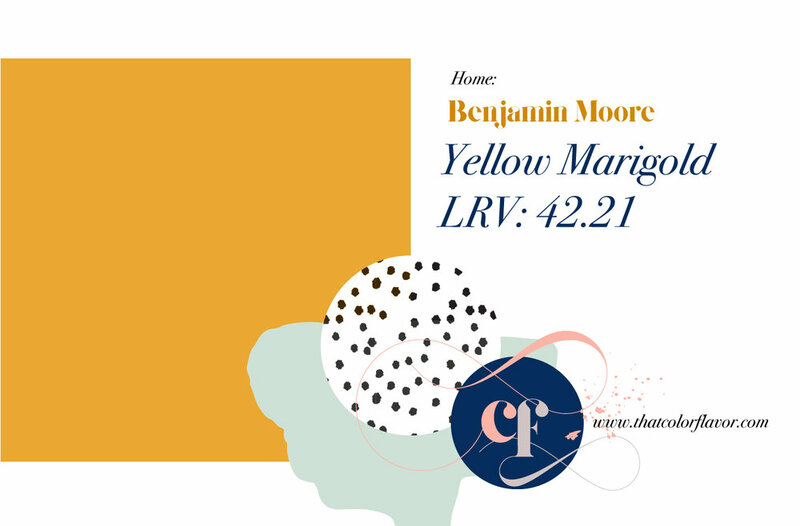 I'll be diving into the hottest new color emerging - BOSS YELLOW — influenced heavily by Jen Gotch/Beyonce. So you have that look forward to my bunnies. kate@ohsosuite.com // www.ohsosuite.com for more of my work!